Zheimel (Zeimelis in Lithuanian) is situated in the Northern Central part of Lithuania four km. from the border of Latvia, its name having been mentioned in old manuscripts dating back to the 13th century. From the 14th until the 18th centuries the Zheimel estate had been administered by German feudal lords, and the town of Zheimel which developed near the estate was the county center from 1568 on. In 1613 King Zigmunt Vaza granted Zheimel the privilege of holding two fairs a year. Until 1795 Zheimel was part of the Polish Kingdom, but at that time Poland was divided for the third time among the then three superpowers - Russia, Prussia and Austria - and most of Lithuania, including Zheimel, was apportioned to Russia. During Russian rule (1795-1915) as well as during Lithuania's period of independence (1918-1940), Zheimel was again the county's central town. During the German occupation in World War I, Zheimel was connected by a narrow gauge railway to Joniskis and before World War II a railway line was laid which led from Zheimel through Joniskelis to Panavezys. Jewish Settlement until World War I. Testimony to the fact that Jewish settlement in Zheimel was one of the oldest in Lithuania can be seen on tombstones dating back hundreds of years which were found in the old cemetery of the town, such as the year of birth (1738) of the Jewish scholar Shlomo Zalkind Horovitz, who was one of the students of Moses Mendelsohn and a member of the Sanhedrin during the time of Napoleon. Horovitz was an expert on oriental manuscripts in the National Library in Paris. The Jews of Zheimel made their living from commerce and agriculture and almost every family had a small holding near their home. There were 753 Jews in the town in 1847. In a news item which appeared in the newspaper Hamagid in the year 1883, it was reported that a synagogue, one of the oldest in Lithuania and a study house (Beth Midrash) were built in 1862. In the eighties of the 19th century, Zheimel gained publicity because of a dispute over the election of a Rabbi for the town. Two camps formed in Zheimel, each one wishing to impose their will on the other. As both sides were willing to use any means, such as informing the authorities, coming to blows, and smashing windows, the authorities had to intervene. The dispute in Zheimel lasted until R. Abraham-Yitzhak Hacohen Kook, who received his first appointment there, was elected Rabbi of Zheimel in 1887. Rabbi Kook officiated in the town for 7 years and managed to make real peace between the warring camps. During his tenure of office Rabbi Kook enriched the library of the Bet haMidrash and strengthened the welfare societies in the town, such as Hachnasat Orchin, Bikur Cholim, and Gemilut Chassadim. Owing to his efforts a bath house and a sauna were also built. 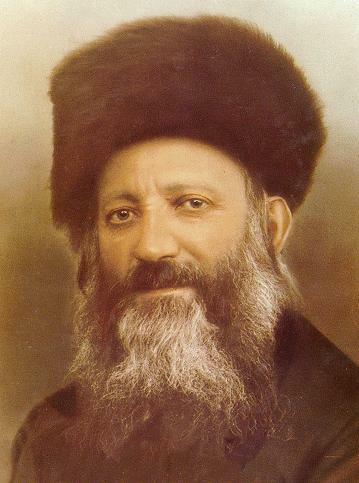 In 1903 R. Kook immigrated (ascended) to Eretz Israel, becoming the Rabbi of Jaffa. From 1918 he officiated as the Chief Rabbi of Jerusalem, and from 1921 until his death in 1936 was the Chief Rabbi of Eretz Israel. Rav Kook The Rabbis who were appointed in Zheimel before and after Rabbi Kook were R. Shlomo (from 1824 to 1864), R. Benjamin-Dober Diamand (from 1864), R. Shalom Elchanan Jaffe (from 1883), who emigrated to the U.S. and was Rabbi in St. Louis and Brooklyn, R. Ya'acov-Dov Rappaport (from 1896), who settled in Kfar Saba, Israel, in 1926, acquired a vineyard there and sent his son to cultivate it. R. Rappaport was the first Rabbi of Kfar Saba. In 1891 a welfare society, Lechem Aniyim - Bread for the Poor - was established with the assistance of the Mayor Prince Liven, who donated 35 pud of flour (570 kg), 50 funt of sugar (205 kg), and 3.5 kg tea to the society every 10th week. The Jewish benefactors were Zvi Hirsch Abramowitz and Elijahu-Matitjahu Chajut. In the list of donors for the Yishuv (settlement) of Eretz Israel during the years 1900 and 1903 many of the people of Zheimel are mentioned. After World War I, Zheimel was cut off from its big rural hinterland, which was incorporated into Latvia. This fact and the policy of the Government of Lithuania, which strived to undermine the foundation of the Jewish economy, were the reasons for the decline of Zheimel’s Jews fortunes, as a result of which many emigrated to South Africa, the United States, and Eretz Israel. The Period of Lithuanian Independence. With the declaration of autonomy for the minorities, including the Jews, in independent Lithuania, a community committee of seven members was elected in Zheimel. It was active in most spheres of Jewish life in the town for several years (1919-1925). During the years 1927-1928 Zheimel received much publicity because of a trial against five Jewish butchers who were accused of the murder of the local veterinary surgeon. The accused were each sentenced to five years in jail, but the Supreme Court reduced their sentence to only eight months. The Jews of Lithuania saw in this trial a Lithuanian version of the Beilis blood libel trial of 1913 in Russia. One of the defending counsels of the accused was the lawyer Dr. Ya'acov Rabinsohn, previously the first director of the Hebrew high school in Virbalis. The well known lawyer A. Grusenberg, the defending counsel in the Beilis trial, also advised the defence in this case. During this period the Jews of Zheimel made their living mainly by commerce. There were merchants in the town who engaged in the export of flax, grain, etc., Zheimel being then a center for the export of flax. In the middle twenties 250 wagons of flax seeds and about 200 wagons of flax would be exported from Zheimel during a season. Other Jews made their living as buyers in the villages, teamsters, packers and similar vocations. 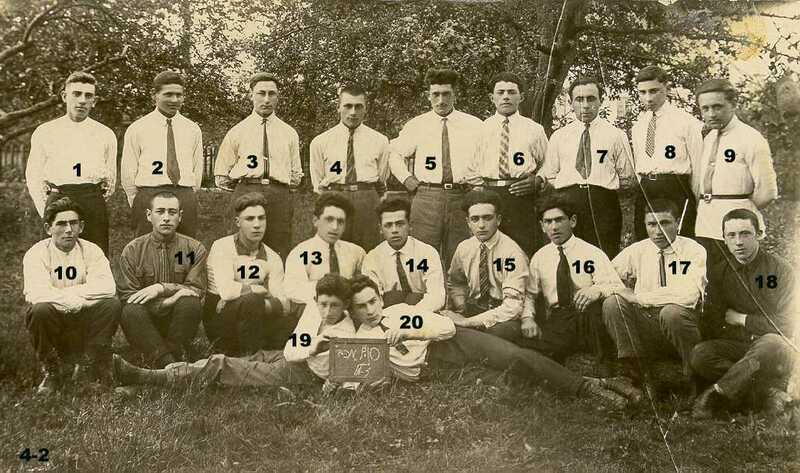 In 1937, 17 Jewish artisans worked in Zheimel: 9 tailors, 3 butchers, 2 bakers, 1 tinsmith, 1 photographer, and 1 barber, and in 1925 there were 2 Jewish physicians in the town. The Peoples Bank (Folksbank), which in 1927 had 118 members, played an important role in the town’s economy. Out of 50 private and public telephone subscribers in 1939, 5 were Jewish. From the mid thirties the number of Jews in the town dwindled, due to the crisis in Lithuania and the overt propaganda by the Lithuanian merchant organization Verslas against buying from Jews. This caused many of them to seek their fortune elsewhere, and during those years many left the town, especially the young people who emigrated to Eretz Israel. The primary education of the Jewish children of Zheimel was given at the Hebrew school belonging to the Tarbuth network, which had a special building of its own, built at the end of the twenties. There was a library in Zheimel, and an amateur troupe which gave theater performances also in the surrounding towns. Many of Zheimel’s Jews belonged to the Zionist camp, almost all the Zionist parties were represented in the town and collections of donations were held for the National Funds “Keren Kayemeth”, “Keren haYesod” and “Keren Tel-Chai”. On the 26th of December 1934 a letter of one of the activists of “Keren Kayemeth” in Zheimel was published in the Yiddish daily newspaper "Dos Vort" in which he protested against "Keren Tel-Chai" of the Revisionists for distributing boxes of their fund to collect small donations similar to the popular blue box of "Keren Kayemeth". Zionist youth movements were active, among them Betar and Hehalutz. Sports activities took place at the local Maccabi branch within whose framework a football team also functioned. The ancient synagogue and Bet Hamidrash were also the center of religious life in the town during this period. The Rabbis who officiated in Zheimel were R. Haim-Salman Kron, R. Israel Kravitz, R. Leib Siger, and R. Arjeh Leib Schneider, who were all murdered by the Lithuanians during the Holocaust. Among the native born of Zheimel was the son of R. Kook, by the name of R. Zvi Yehuda son of R. Abraham-Yitzhak Kook (born in 1821), in due course to be one of the principals of the "Mercaz Harav” Yeshiva in Jerusalem, who prepared to print and publish his father's writings. Others were Aharon Chayuth, who emigrated to Eretz Israel in the eighteen nineties, built a flour mill in Tel Aviv and founded the Chamber of Commerce in Jerusalem. Also Nathan Rappaport, who emigrated to Eretz Israel in 1906 and was one of the first ten settlers in Kfar Saba, and was killed in 1921 while defending Petach Tikva against Arab marauders. "In answer to your inquiry Nr. 962, we hereby inform you that in Zheimel there were a total of 205 Jews. 44 escaped to the Soviet Union, 160 were shot to death on the 8th of August 1941. At present there are 2 Jewish women here who tried to escape but returned, and they will be sent to Zagare (Zhager)." The Mass Grave near the Village of Veleisiai. According to Soviet sources, a mass grave was found after the war near the village of Veleisiai about 2 km from Zheimel, where about 150 men, women and children are buried. In 1959 there were 1,106 people in Zheimel and not one Jew. Central Zionist Archives -Jerusalem: 55 / 1788; 55 / 1701; 13 / 15 / 131; Z-4 / 2548. Yad-Vashem archives, the Koniuchovsky collection 0-71, file 107. YIVO, NY-Collection of the Jewish Communities of Lithuania, files 403-436, 1385,1587. Y.D.Kamzon-Yahaduth Lita, published by the Rabbi Kook Institution, Jerusalem, 1959. HaMeilits- St. Petersburg, 21.11.1884; 15.5.1885; 5.6.1885; 9.3.1895. Der Yiddisher Cooperator -Kovno, 1929 Nr.2-3. Editor: Dov Levin. (Hebrew), Yad Vashem. Jerusalem 1996. The Book of Sorrow, Vilnius 1997.